The workshop specialises in woodworking and wood carving, gilding and restoration. Black and gold cup creation. Laminated and 24 karat gold plated lime wood. 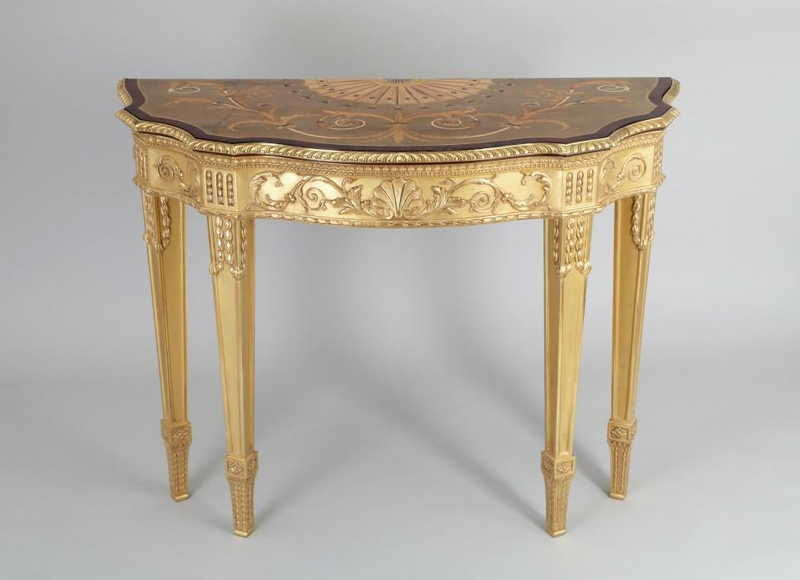 Artisanal reproduction of a period console. Artisan created ring-shaped console in Art Deco style. Fused glass top, lime wood, 22 karat gold finish. Macassar ebony base. Artisan carved and gilded period stool made in Marc Morisset’s workshop. Created carved and gilded period pieces for Shangri La, a luxurious Parisian palace. Created carved and gilded period pieces for Le Crillon, luxurious Parisian palace.